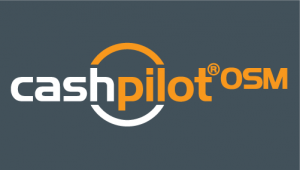 CashPilot® is a software suite developed by Sautner & Partner for the cash logistics industry. It consists of ATM cost optimization and cash management, track & trace, and route optimization solutions. All solutions can be combined without creating redundant data and are fully complementary. CashPilot®ATM, CashPilot®CIT, CashPilot®OSM: Three Musketeers at your service to celebrate the art of optimisation. Cash management software solution for managing ATMs, CDMs, CRS, cash point and cash point group currency inventories and incidents. This software solution can be used to plan cash replenishments, deliveries and collections, and first- and second-level maintenance. It will improve cost-efficiency, end user satisfaction, and the security of cash logistics. 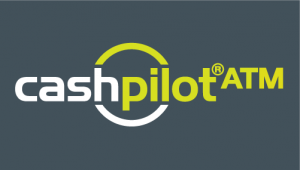 A new generation of CashPilot®CIT has been launched, featuring real-time tracking & tracing on state-of-the-art Android-based mobile devices, ranging from smartphone to high-end professional scanners! Track & Trace solution for cash in transit operators. In addition to advanced track & trace capabilities, this solution features online tracking, real-time tracking of shipments, and extended reports for locations and customer. The software is currently helping six cash in transit companies in four different countries to provide evidence of the history and location of shipments along their value chain. Route optimisation software that we specifically developed for the cash logistics industry to increase the stop frequency and to reduce the cost per stop. If used in combination with the CashPilot®CIT solution CashPilot®OSM offers monitoring of planned versus actual tour performance. It takes into account the special requirements of cash in transit operators, such as insurance limits, vehicle capacity, maximum duration of route and driving time, customer restrictions on delivery times, opening hours, etc. Are you ready to reduce operating costs and increase efficiency? The ESTA conference in Vienna is approaching quickly! The agenda should be of strong interest to everybody involved in cash logistics. Latest trends and innovative technology - the CashCon 2019 in Frankfurt gave a good overview on recent developments in the cash logistics field. We have been sponsors and exhibitors to this event. Thank you very much for interesting discussions and insightful debates at our booth! Excited to announce that – for the first time – we will be sponsoring the CashCon 2019. Visit Sautner&Partner and the CashPilot products at their booth in the exhibition area! The conference will be held 23.-24. Jan 2019 at the Dorint Main Taunus Zentrum Frankfurt/Sulzbach. Currently we hire fulltime software developers. Looking forward to the ESTA conference in Budapest next week! As in recent years, Sautner & Partner will be a sponsor to this event and will present the CashPilot products in the exhibition during the conference. The ESTA will be held 13-15 May in Budapest. It was a great pleasure to be sponsor to the memorable ICCOS conference held in Dublin 15-19 Apr and to host a Breakout Meeting: How to boost efficiency into ATM cash management: with automated reconciliation". Contact us if you want to download the presentation! We will be on ESTA! Proud to sponsor 2018 ESTA conference in Budapest, May 13-15. Looking forward to interesting discussions on "Cash vs Alternative Means of Payment: Opportunities or Threats?" Our Breakout Meeting 2018 will focus on the following topic: How to boost efficiency in ATM cash management: with automated reconciliation. The European ICCOS conference will be held in Dublin, April 16-19 2018. It is a pleasure to announce that Sautner&Partner will be exhibiting on the ESTA conference 2017. Visit us 14-16 May 2017, Cascais, Portugal! 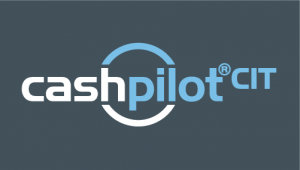 Read the article on Sautner&Partner and the CashPilot Software products in the latest edition of Currency News: The Cost of Cash - can a Pilot increase Efficiency? Australian ATMs - Johannes Sautner presented "Challenges of ATM Cost Optimization"
This year's ESTA conference will be held May 22-24 in Marbella, Spain. Sautner&Partner will present the brand-new CashPilot©CIT generation featuring real-time tracking & tracing on Android-supported mobile devices. This year, the topic of Sautner & Partner's presentation will be: "ATM cost optimization - how it really works". Sautner & Partner will be present on our collaboration partner's event, Sep 28th - 29th in Leipzig. Sautner & Partner will exhibit at the ESTA Conference, May 31st – June 2nd. Sautner & Partner will exhibit and present its latest innovations from Feb. 24-27th, 2015 in Milano! Sautner & Partner staff is participating in the annual ESTA conference, June 01-03, 2014. Sautner & Partner is Silver Sponsor of the ICCOS EMEA Conference in Istanbul.